On April 13, 2007, the Celtics clinched the worst record in the Eastern Conference with a loss to the Milwaukee Bucks. 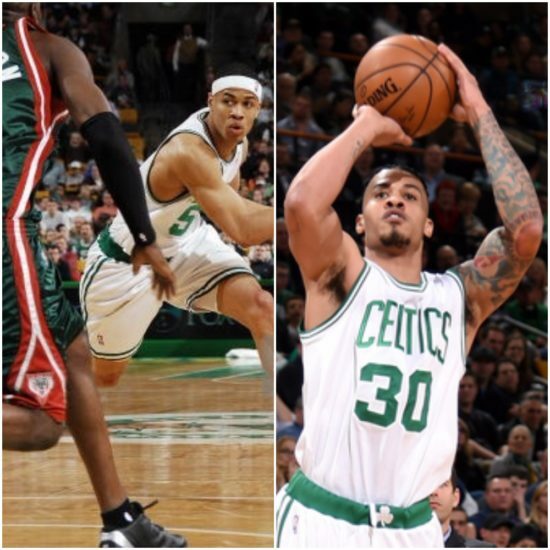 The one bright spot for the C’s in that game was 21 year-old Gerald Green, who shot 9-for-16 from the floor on his way to 21 points, just three months before he was shipped to Minnesota in a deal that brought Kevin Garnett to Boston and turned the Celtics from basement dwellers to NBA Champions in a matter of one year. Nearly a decade later, Green’s career has come full circle as he landed back with the C’s this past summer. And after receiving inconsistent minutes through the first two months of the season, he came through Tuesday night with his best performance as a Celtic since that forgettable loss back in April of ’07. What’s most telling about this performance is the play in the second quarter where he gets the rebound, pulls it out, and takes the three with no hesitation. We all know Gerald has the ability to be a dangerous scorer off the bench, and that’s the mentality of someone who’s feeling their shot. More games like this would be a huge boost for this team down the road.